On first read, I thought Libby Lyman’s comment about “gauging appropriate pressure for each individual horse” was a no brainer. See her Ask the Expert post here. “Doesn’t everyone know that?” I thought. But getting a bloody lip whilst coming off my mule has a way of underscoring Lyman’s point and reminding me of how much there is to learn. We had taken a solo ride of about six miles. I was inserting lots of stops for flexion and backing up since we needed to improve those elements and I wanted to challenge her. I thought I was giving her lots of positive feedback. I thought she was fine with things. In hindsight, it was clear I was pushing too hard and not giving her enough dwell time or relief. For the last half mile, I asked her to run up a twisty path. I urged her to trot, then urged her some more with my heels. Either she felt I was unfairly goosing her, or the additional push – after so much flexion and backing work – was just too much. She left the trail, bolted through junipers, and got out from under me. As if to emphasize her discontent, she kept right on running after the dumping. 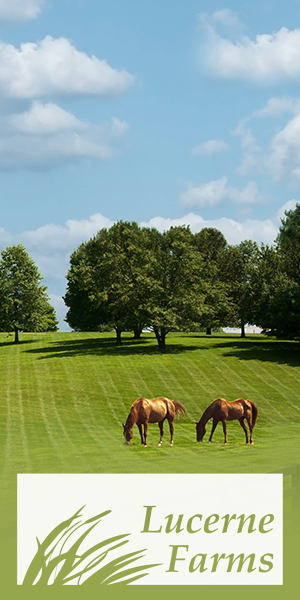 Thankfully, I cut through our pasture while she had to jog around it. I met her on the other side, reclaimed the reins, and rode back to the scene of our mishap. There, we hung out for a minute while I wiped blood from my face and assessed the damage. We caught our breaths and I thanked my helmet for doing its job. 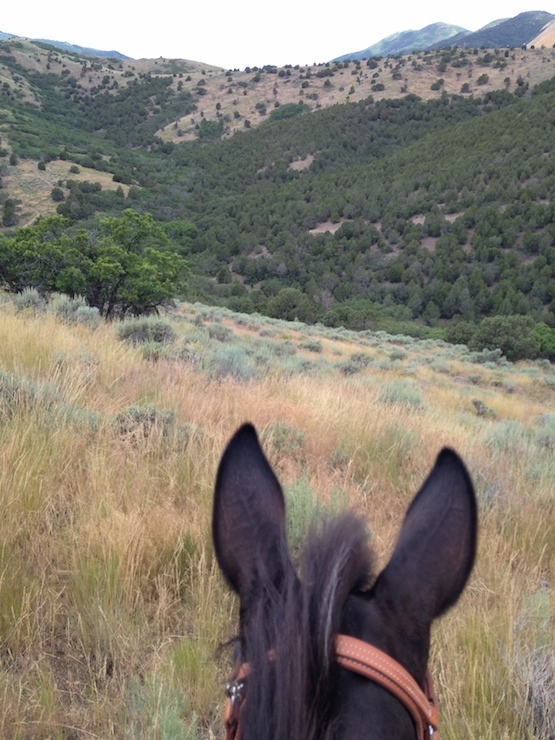 After letting Jolene graze, we headed back up the trail where she had just unloaded me. We tried to trot casually, but I believe we were both faking it, braced for another disconnect. It was, as it usually is, Operator Error. When I gave her that extra pressure, I’d misjudged her tautness for sluggishness. She wasn’t being a plug; she was being Jolene, the ever-wary mule. “Why all this pressure? Where’s the relief?” I think she was saying. Sometimes, progress comes with pitfalls. Read more Not Too Old to Learn posts here. 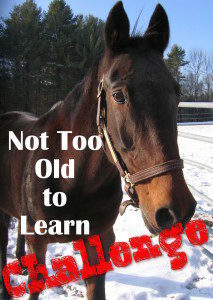 Posted in BestHorsePractices, Horsemen & Women, Not Too Old to Learn and tagged horse training.